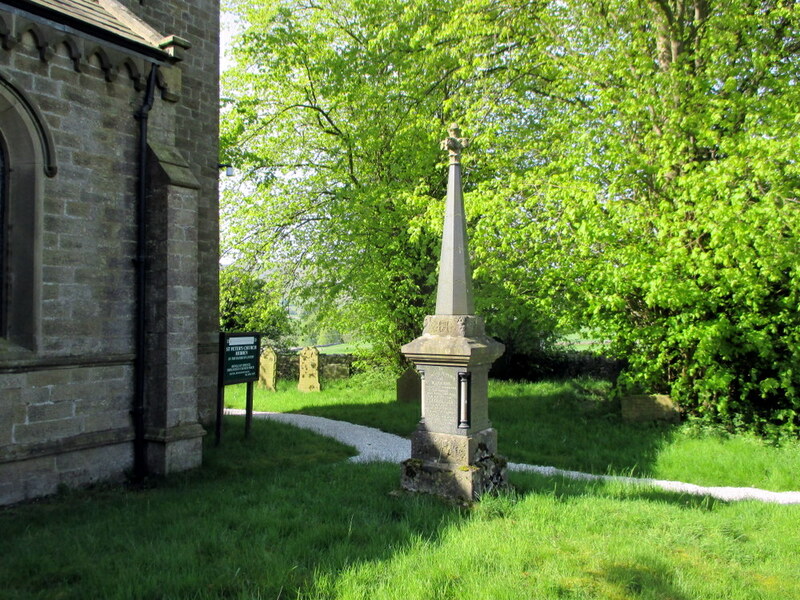 Hebden has two cemeteries - one in St. Peter's churchyard, and a newer one on the other side of Church Lane. The reference number in the table below refer to the monuments, which may or may not mark an interment. Where monuments commemorate more than one person, an entry number appears for each name, with the reference number suffixed with an alphabetic character. The monuments in the new cemetery are listed in clockwise order from the entrance, and are prefixed with NEW. Those in the church graveyard are prefixed with the letter OLD, followed by the reference number. This is followed by an ordinal compass sector determined by its positional relationship with the church (assuming that the church is oriented east-west, although its actual orientation is closer to NE - SW). Thus OLD-02a-NW indicates that the memorial is north-west of the main church building. 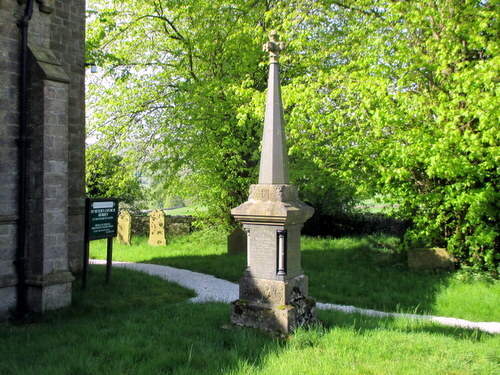 An empty entry is included for any monument where the inscription cannot be read. The table may be sorted by any of the first five columns by clicking on its header. The Notes column contains information from the memorial and snippets which have been gleaned elsewhere. NEW-41a Longthorne, Herbert 1971 71 d. 8/02/1971 Spouse of Hannah Longthorne. OLD-40-S ?, Faith 18?? 19 weeks d. 19/03/18?? Top half of memorial missing.